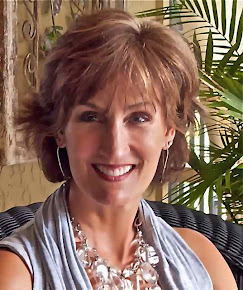 I am pleased to introduce my guest blogger: Arcadian Lighting. When redesigning a room, you should begin with the focal points. 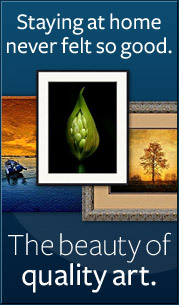 The following are ideas on creating focal points with Art or Photographs. These are some great ideas to get that attention in the right place. "Arcadian Lighting is the best source for lighting fixtures and accessories at discount prices. Arcadian Lighting has been in the lighting industry for over 15 years selling decorative home lighting fixtures and lamps online, and has become one of the top Internet retailers for home lighting products." It is easy to create a focal point with art and photographs on any wall in the house with single works of art or groupings of art and photographs. Here are several ways you can decorate your room with art while creating a focal point at the same time. Donít forget the wall lights to illuminate your arrangements. 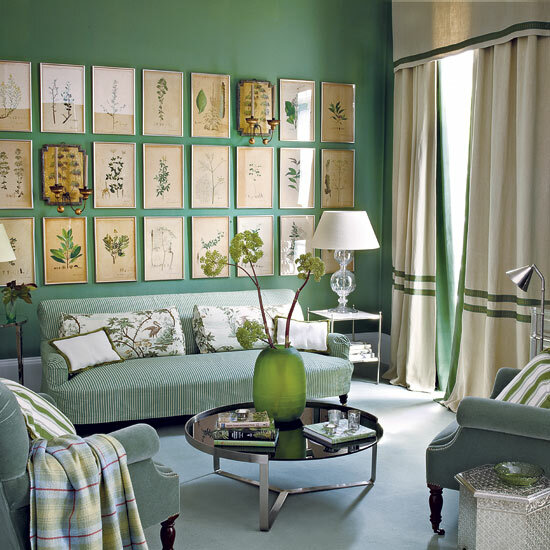 A collection of prints or photographs uniformly framed and hung in a tight pattern creates a focal wall in this living room. If you look closely, two of the prints are actually wall sconces. How clever! Monica Ewing over at Crafty Nest took the framed botanic print group idea one step further and framed six prints using a salvaged window frame. A collection of antique portrait prints around a mirror creates a lovely focal point in this corner. If you look in the mirror, your face becomes another one of the portraits. Wonder if this was intentional? A large painting grouped with two smaller paintings in the same colors creates a nice focal point above the sofa. The bright orange draws the eye since it is the only orange in the room. A collection of black and white prints in natural wood frames works well in this modern living room. Identical frames unify the different art works. Keep this in mind when creating a grouping. This living room designed by Robert Passal shows that a single beautiful work of art can be the perfect focal point for a room. This is an interesting way to hang art on the wallócreate a color block with coordinating paint to draw attention to smaller works on a large wall. 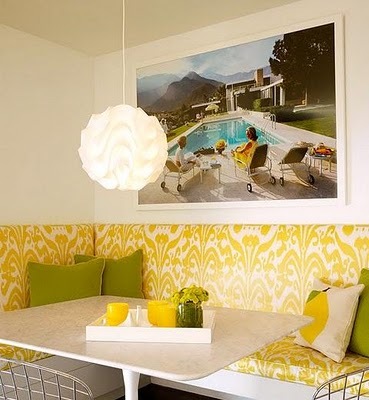 Check out the lovely table lamps that complement the decor. A single oversized photograph creates a colorful focal point. Either enlarging a personal photograph or finding one that fits the style and colors of the room would work. Love the vintage feeling to both the photograph and the furniture in this breakfast nook set off beautifully by the modern pendant light. Content provided by Arcadian Lighting, a site that specializes in top quality lighting fixtures at extremely affordable prices. Come visit us today! Thanks to Arcadian Lighting for this informative and interesting post.